Hi everyone, this is Madoka from the Global Operations Team (GOT)! GOT handles translation, interpretation, global talent outreach, and other activities promoting Mercari’s globalization. 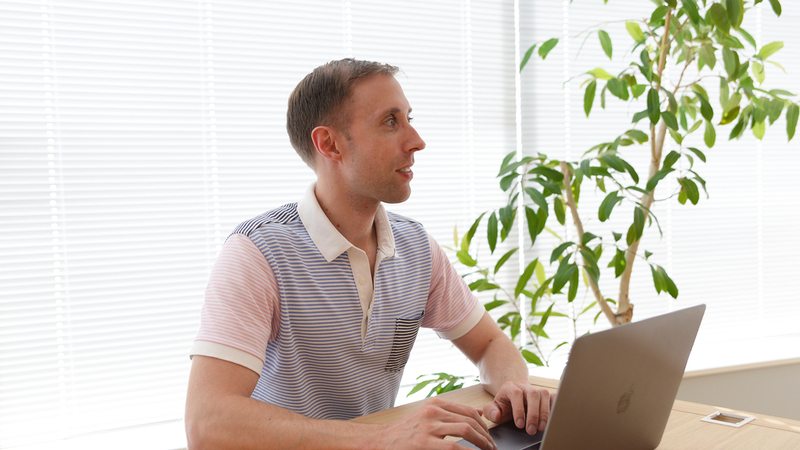 Right now, Mercari has employees from over 25 different countries working in our Tokyo office. Everyone has different backgrounds and experiences: some members come to Japan for the first time to join us, while others have lived here for years. GOT offers a variety of support systems and programs to ease the transition and create a comfortable work environment for all members. One of these programs is language education. Instead of putting the burden solely on global members to learn Japanese, we enable them to meet our Japanese members halfway by offering both English and Japanese programs. At Mercari, employees can take Japanese and English lessons during their working hours. GOT recently welcomed one in-house English teacher and two in-house Japanese teachers to carry out speaking tests and create a brand-new language curriculum. We asked Marc and Maz, the GOT members in charge of curriculum design, for their thoughts on language education programs. Marc：We’re creating programs that focus on communication ability instead of test scores. Our goal is for teams at Mercari to be able to communicate freely in whatever language works best for them. To do that, we need to provide more opportunities for conversation practice.Our English program is designed to meet the needs of Mercari employees, which is why we focus on output instead of passive learning. Each lesson is based off of situations that are likely to occur in daily office life. The typical way to practice these verbs is to repeat the sentence over and over using different words in the blanks. We go one step further and put the learner in everyday conversations where they would use these words, asking questions like “Where do you live? How do you come to work? What subway line do you take? How long does it take to get to work?” We also actively use expressions and terms unique to Mercari to make lessons even more useful in employees’ day-to-day lives. We also have a system called Chat Lunch, where employees can go out for lunch and practice speaking in the language they’re learning. Global members lead the conversation in English chat lunches and participate as learners in Japanese chat lunches, while native Japanese speakers lead Japanese lunches and take part in English ones. Over 100 employees attend these lunches weekly to actively try using the language skills that they’re learning in their lessons. We created a video introducing GOT’s support systems in order to help future employees, particularly the large group of global members joining in October, learn about Mercari. 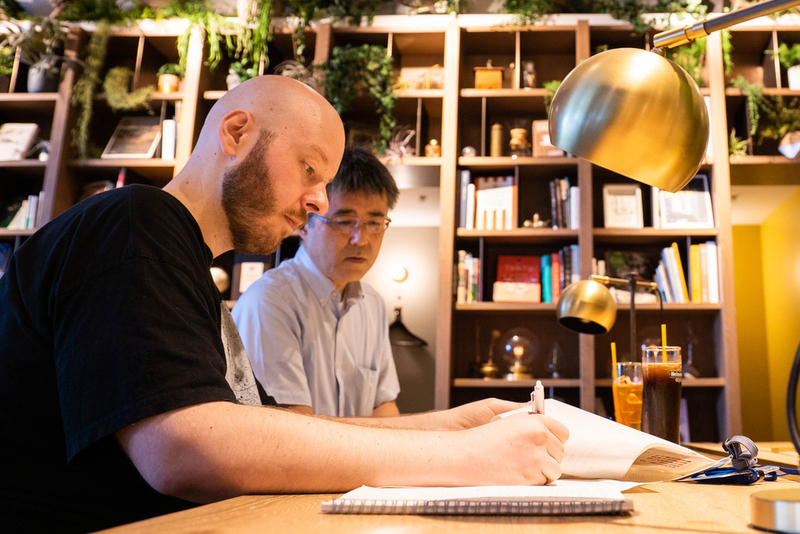 Many of our new employees from overseas will be experiencing life in Japan for the first time, and we want to make sure everyone feels comfortable in their new home. We worked with John from Corporate Solutions Engineering (CSE) to make this video. It’s full of interviews with our global members, so I recommend it to anyone interested in Mercari’s global support initiatives. Mercari is still on its way to becoming a global tech company. We hope to strengthen Mercari’s language education and other support systems even further to become a global company with a comfortable work environment for all. If you’re interested in more initiatives like these, please check out our Instagram! GOT is currently looking for Onboarding and Talent Outreach Specialists to strengthen our global member onboarding systems and support Mercari’s global expansion. We’re also looking for In-House English Teachers to support the company through language education.